An eight member delegation of the US Congress, headed by Nancy Pelosi has arrived in Dharamsala, India, the exiled base of the Tibetan Administration, to hold talks with the Dalai Lama and Doctor Lobsang Sangay the administration’s political leader. 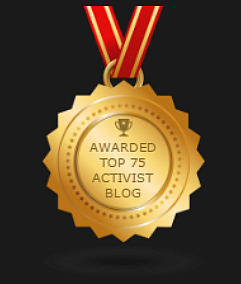 They will be accorded considerable praise and gratitude as friends of Tibet, yet in truth their support is constrained to issues of human rights and culture, while this may be regarded as positive assistance it fails to address the just and historic right of Tibet’s people to national independence. 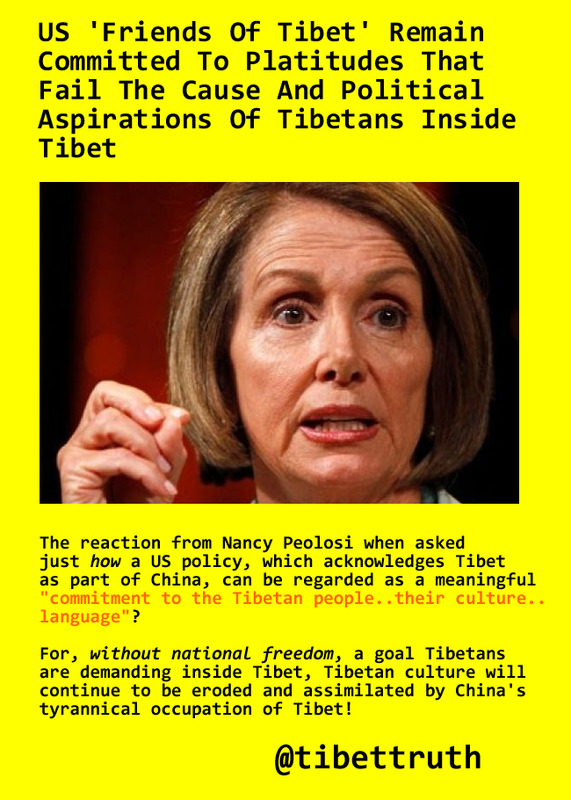 The reason why Ms Pelosi and her Congressional colleagues are silent on that core subject is, that while appearing to be champions of the Tibetan cause, they are advocates of the US policy which recognizes Tibet as an integral part of China. This explains their carefully worded emphasis on cultural issues and human rights, to avoid any mention of Tibet’s status or reference to the struggle being waged inside Tibet. It is not the Tibetan people, or their rightful determination for national liberation which is being supported by this delegation. Indeed their is something distasteful and disingenuous about these political dignitaries serving up such cynical platitudes, while across the mountains in Tibet a cause is being waged to demand (what these defenders of freedom are afraid to voice for fear of upsetting China and their own State Department), national freedom for Tibet!